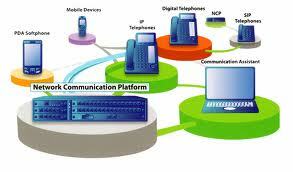 This presentation focus to discuss on Communication in Network System. Here analysis Layered Protocols, which focus on Layers, interfaces and protocols in the OSI model. Discussion between a receiver and a sender in the data link layer, Client-Server TCP and Middleware Protocols which is an adapted reference model for networked communication. Finally discuss on Client and Server Stubs, General Architecture of a Message-Queuing System and Synchronization systems.